Yum, one of my favorites! Thanks Allen!! I LOVE salmon too!! What a great combination, I love the salsa. I have been on the fence for a while now about combining tomato with fruit. 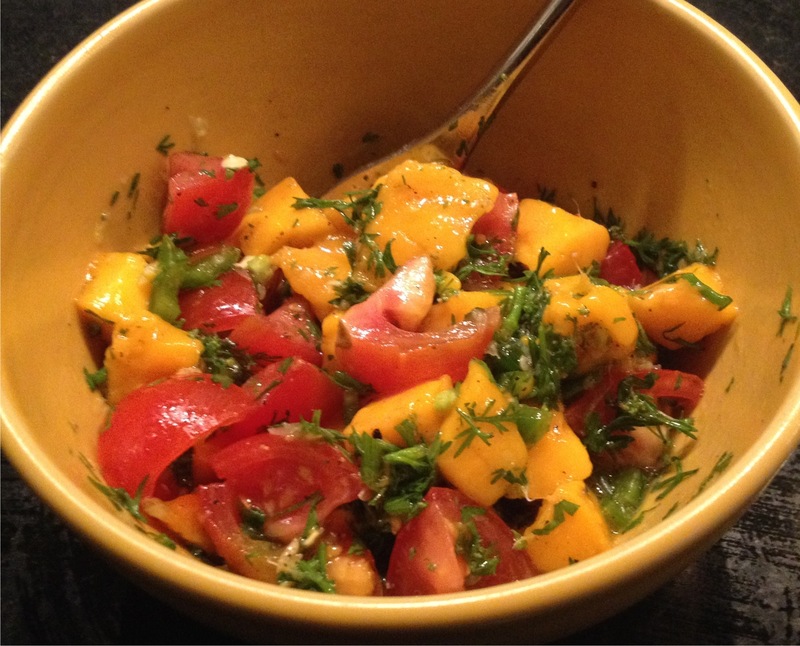 This week I tested a recipe for a melon, avocado, tomato salsa. It was wonderful and I loved the combination. I think your salsa with the salmon is wonderful. I know – the fruit combo sounds weird – but it works!! I LOVE it!! Salmon is my favourite! This looks light yet packed full of flavours. A fantastic meal, Mary. Thanks Angie!! It was darn good! What an appetizing way to fix salmon. Great combination of ingredients. Thanks Angela – it was very, very good!! Lovely combination of flavors. 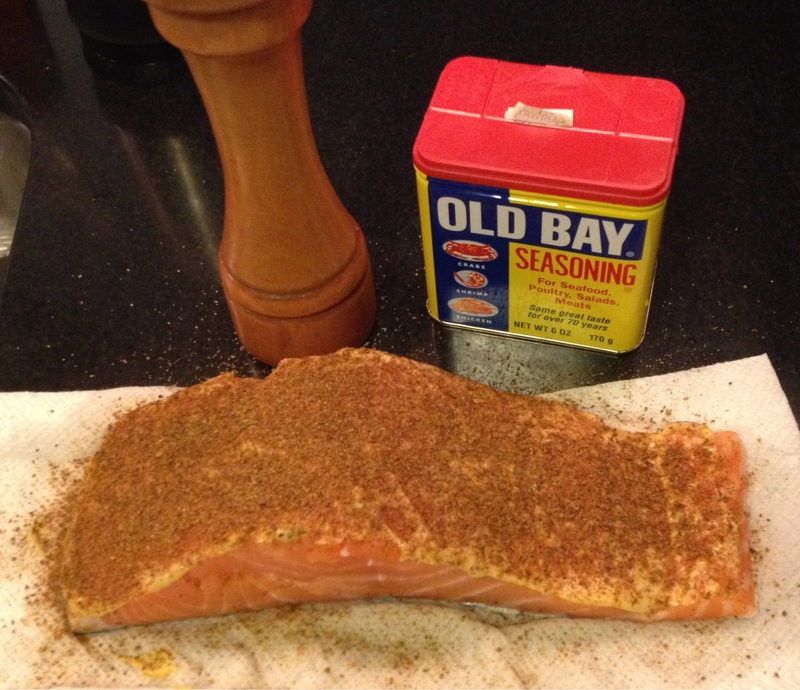 I have never tried old bay and have been looking at a few recipes that call for it. Will be trying to get my hands on some old bay soon. Ansh – Old Bay is something that is always good to have around. I think you’d really like it!! Now this is a great meal for a Summer’s night. Tons of flavor with an equal amount of color to please the eye and palate. Very nice, Mary. Thanks John!! You’re right – it was a winner!! Thanks Francesca!! Did you also use it on chicken? That, I’ve never done – yet. 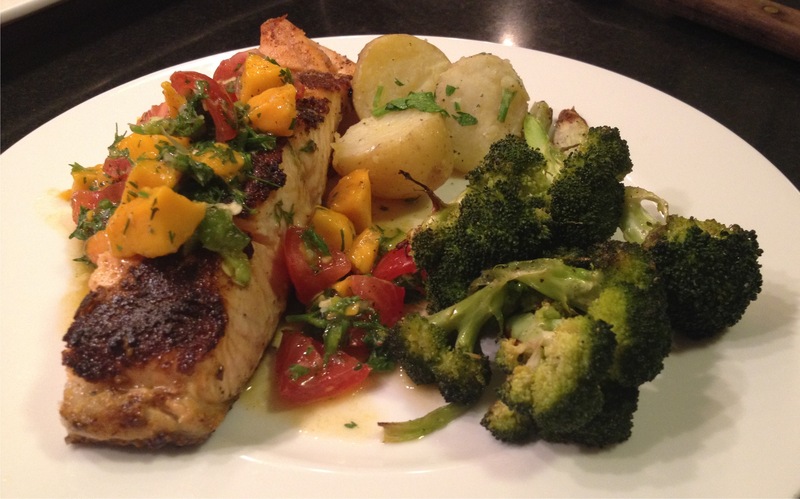 I often prepare my fish like this but never thought of preparing a salsa like this. 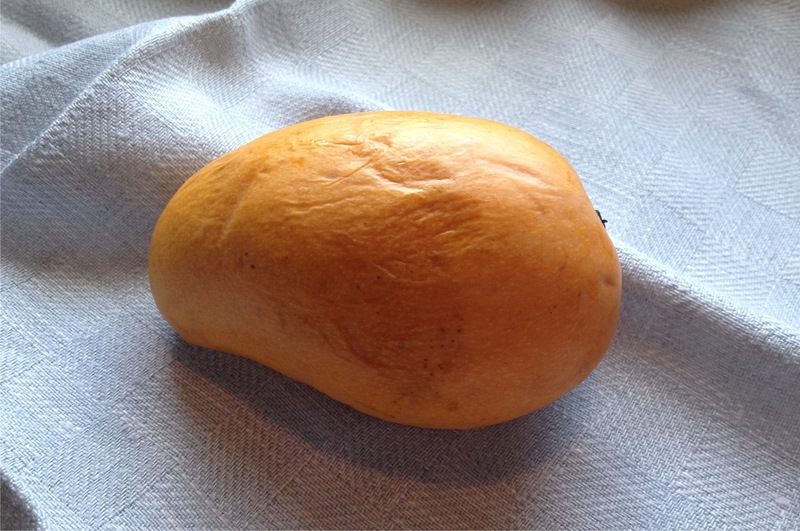 Looks wonderful and I have the very kind of mango at home now. So please tell me Evelyne – how did it work out? Thanks J+C!!! I’m discovering I love all things sweet and savory! Everything about this meal I love! With a garden full of salsa ingredients this came out a great time! So glad to hear Pamela!! Hope you got to make it! 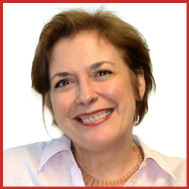 I know Liz, sometimes we forget about the old stand-bys – like Old Bay. Hope you’ve had a chance to use it!! What a fabulous pairing! I’m loving both the salmon and salsa recipes, thanks for sharing. Thanks Nancy!! I’m on the lookout for some Epazote Leaves to play with – thanks for the education!! Absolutely Charlie!! Couldn’t agree more! Old Bay is really good stuff. I like it on fish, too. But what’s really catching my eye is this salsa. Wowzer, but this looks so good! Tomato and magno? Yes, please. Thanks John!! You’re sweet to say so! That salsa sounds perfect for that beautiful salmon! Thanks Maureen – you’d do the same thing! !